A tour around our favourite micro brewery - Thornbridge. They have recently moved to brand new riverside premises. Richard the production manager spent two hours enthusiastically showing us around and serviing up samples. Thornbridge craft beers were first produced in the spring of 2005 in the 10 barrel brewery, in the grounds of Thornbridge Hall. 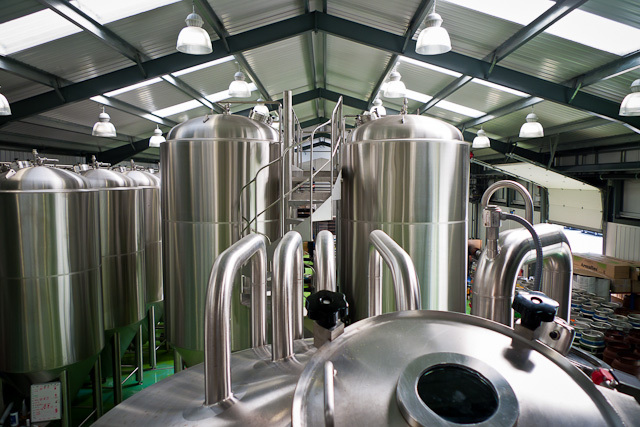 Based on innovation, passion and knowledge the brewing team produce high quality beers using the best natural ingredients winning over 100 awards.